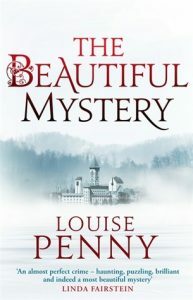 I have become a Louise Penny fan! I wanted to make that statement clear from the opening sentence of this review. The Beautiful Mystery is the third Louise Penny novel I’ve read in 2017. Starting with The Long Way Home and A Trick of the Light, the Inspector Gamache novels set in small-town Quebec have been a wonderful reading discovery. A murder takes place at the Saint-Gilbert-Entreles-Loups monastery. The monastery is hidden in the wilderness of Quebec away from the public. However, Inspector Gamache and his sidekick, Jean-Guy Beauvoir are called to the monastery to investigate the murder of a monk who was deciding on a different path for his fellow monk brethren. The monks at the monastery had become famous for their singing voices of the Gregorian chants that has given listeners a spiritual experience unlike anything else that had ever heard in recorded music. Well, with the prospect of being able to touch the world with their music had created division amongst the monks. As Gamache and Beauvoir continue with the investigation, they learned more about the monk culture and the division that lied within the monastery’s walls. Penny does an excellent job of showing the monk culture without condescension. Also, the differences between the secular lifestyle of the detectives and the religious lifestyle of the monks. 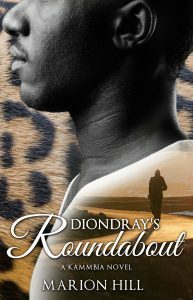 Those elements added another dimension to the novel’s theme that made it rewarding. I have learned about Inspector Gamache’s past in relation to his fellow Surete du Quebec police officers. While, The Beautiful Mystery (and the aforementioned Penny novels) reads as a standalone book, I have to read the entire series starting with Still Life to get the full picture of Inspector Gamache. I would still rank A Trick of the Light as my favorite Louise Penny novel to date. 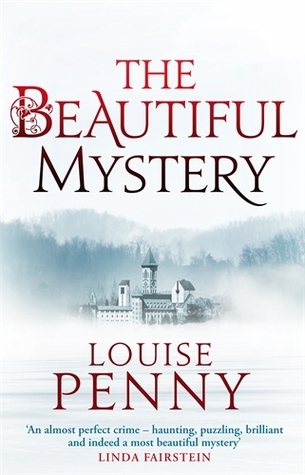 The Beautiful Mystery is an excellent novel and one of my favorite reads of the year. Highly recommended!